Legendary Italian tuner Romeo Ferraris displayed their spectacular Cinquone Stradale USA Tribute at SEMA last week. Car enthusiasts will recognize the name Romeo Ferraris as one of Europe's most respected tuning companies, creating a legacy of championship winning cars that stretches 5 decades. Now, Ferraris is branching out across the Atlantic to offer Americans a high end Italian car tuning experience with creative designs and extreme performance. The Romeo Ferraris Cinquone Stradale USA Tribute is a street version of their ferocious 360 hp endurance racer and pays homage to the country with a Red, White and Blue livery. The European version of the Cinquone Stradale is considered one of the most outrageous modified Fiat 500 Abarths on the continent. 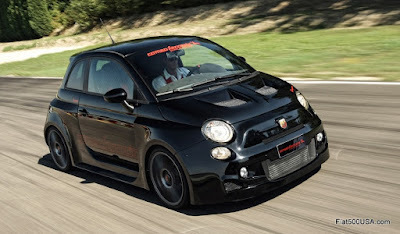 The heavily modified Fiat 500 Abarth features new front and rear bumpers, hood and massively flared out fenders to accommodate a nearly four inch increase in track front and rear. Up front, the new bumper design facilitates a high capacity single intercooler necessary for the upgraded turbo. 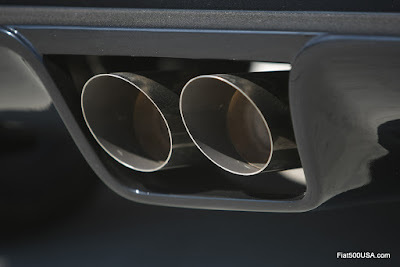 Huge twin tailpipes exit through the center of the rear carbon fiber diffuser. 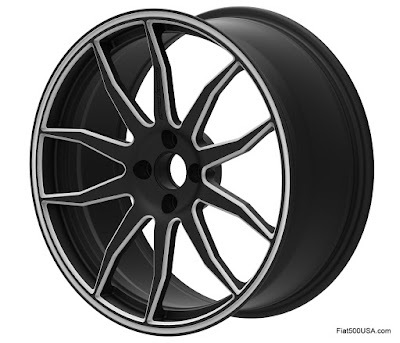 Eighteen inch wheels are fitted to a suspension that has been modified with coilovers and uprated wheel bearings and hubs to withstand the kind of driving this car encourages. 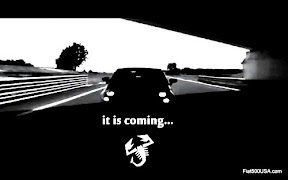 The engine of the Cinquone Stradale will use the US Abarth 1.4L MultiAir Turbo rated at 235hp. 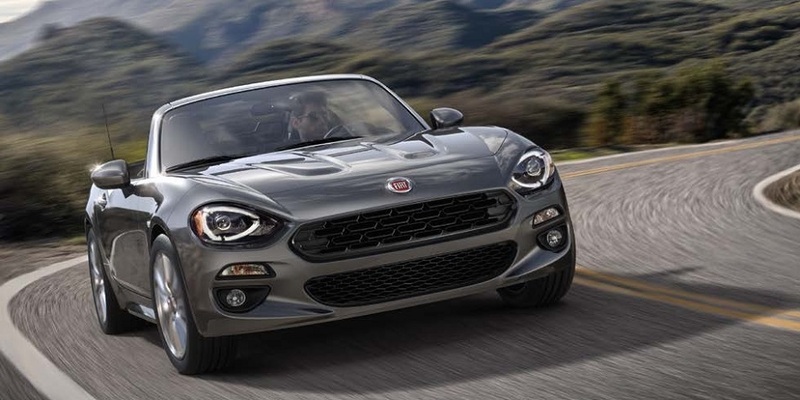 Preliminary details show that the car will have a larger turbo and a custom exhaust manifold along and the necessary engine management tuning. Below is a list provided to journalists of the engine modifications*. The interior is a combination of race car and elegant road car with leather and Alacantara lavishly applied. The Cinquone Stradale has two seats with storage for helmets in the rear or, for those who like to terrorize their friends, a four seat version is available. Romeo Ferraris looks to partner with select aftermarket providers in the US, so expect to see a full range of Romeo Ferraris parts, accessories and over the top performance enhancements. *It should be noted the European Cinquone Stradale uses the T-Jet engine from the Euro Abarth 500 and is rated at 300hp. The above list is the same one provided for that car, so there may be some changes once the tuning package is finalized for US sale. Winner of 67 Titles and more than 1,000 victories, the name Romeo Ferraris is synonomous with performance. Since 1962, Ferraris has tuned, designed and built a legacy of winning race cars and outstanding high performance street cars. 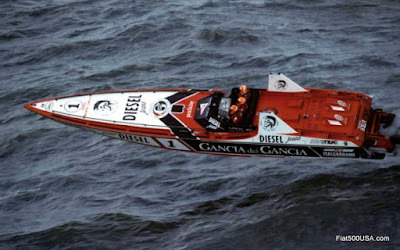 Additionally, he has applied his expertise to the world of offshore racing and holds 18 titles along with countless world records in the sport. 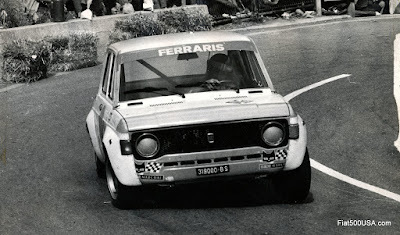 Romeo Ferraris prepared Fiat 128s were among the most potent racing cars in their class. 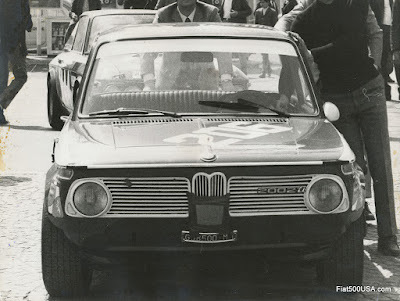 Equipped with a Romeo Ferraris cast cylinder head, the Fiat 128 1000 cc engine produced 156 hp at 11,300 rpm. 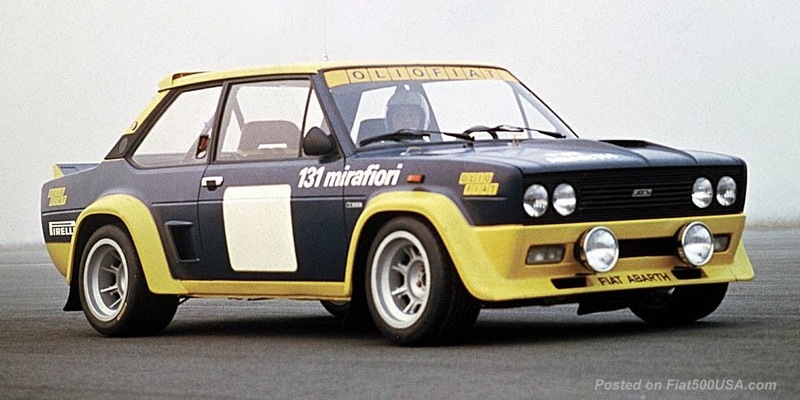 Using the stock Fiat 128 block and crankshaft (remachined and polished) along with Ferraris titanium connecting rods, these engines would red line close to 13,000 rpm. Remember, this was in the early 1970s, a time when most engines would explode at 6,000 rpm. 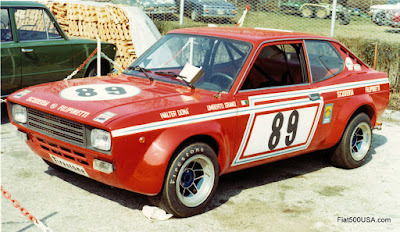 The Fiat 128 series cars so outclassed the competition (read British Leyland) in the US, they were outlawed by the SCCA. 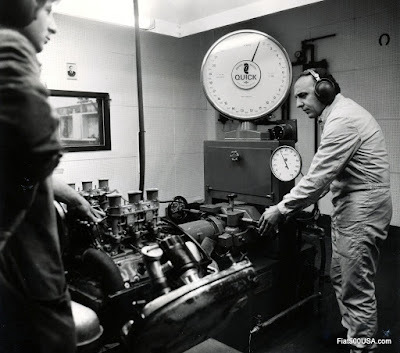 More than just a "cosmetic" tuner, the Romeo Ferraris facility in Italy had the ability to cast its own cylinder blocks and heads, forged their own camshafts and crankshafts and manufactured transmission gears. Romeo Ferraris tuning expertise extends well past Fiats. Ferraris would take a BMW 2002 like this and transplant the six cylinder from a 3.3 CSL tuned to 400hp. The result? Top speed - 177 mph! Since the mid-1970s, Ferraris increasingly concentrated on the relm of speedboat racing and dominated the sport for more than a decade. Returning to automobile racing in earnest in 2004, Romeo Ferraris has once again become a force to be reckoned with. 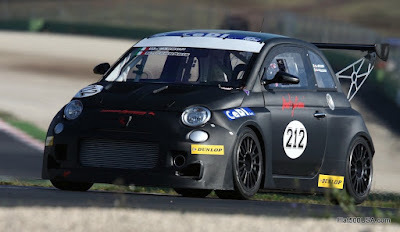 Winning the Italian Endurance racing series 5 years in a row, the SARA GT World Title in 2009, and the Abarth Trophy in 2010 just to touch on a few. Romeo Ferraris brings their vast experience in tuning to street cars for those who demand only the best. Two examples of such are their 657 hp BMW M5 and 700 hp Ferrari 599 GTO. Fiat 500L Images from the LA Auto Show! 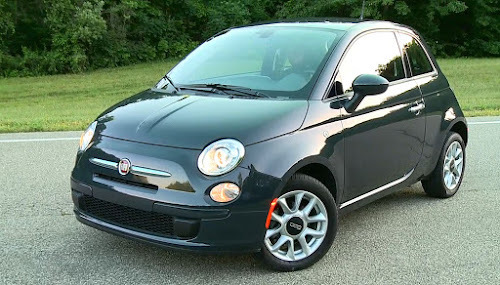 Fiat 500e: Italian Style for Electric Car Buyers! 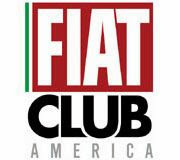 Watch the New 2013 Fiat Live Unveil Here! 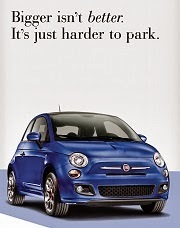 The Fiat 500 Hits One Million Mark! 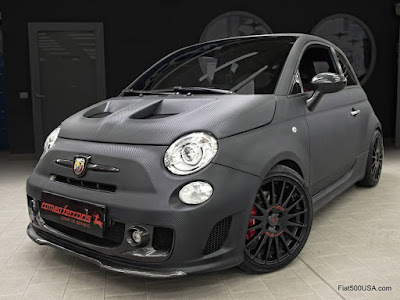 Fiat 500 Abarth Cabrio First Look! 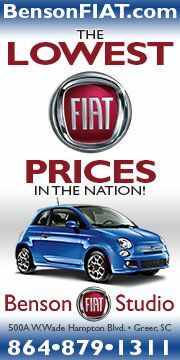 Fiat 500 Sales Double Last Year's.